Inside the entrance of this modern house, the white of the carrara marble dominates. Located in Pilar, Argentina, this beautifully designed home by Andres Remy Arquitectos provides elements that are unique and creative. A cascade of water emerges from the top floor and drains musically into the heart of the ground floor. The concept of the Orchid House, located in Argentina, is based on the different parts of the orchid: the roots, the stem and the flower. Designed by Andres Remy Arquitectos, the efficient and rational use of energy and water, natural ventilation and lighting, and low-environment-impact materials is highly sustainable. The innovative design of this house in Villa Devoto, Argentina generates its own views from inside the house. 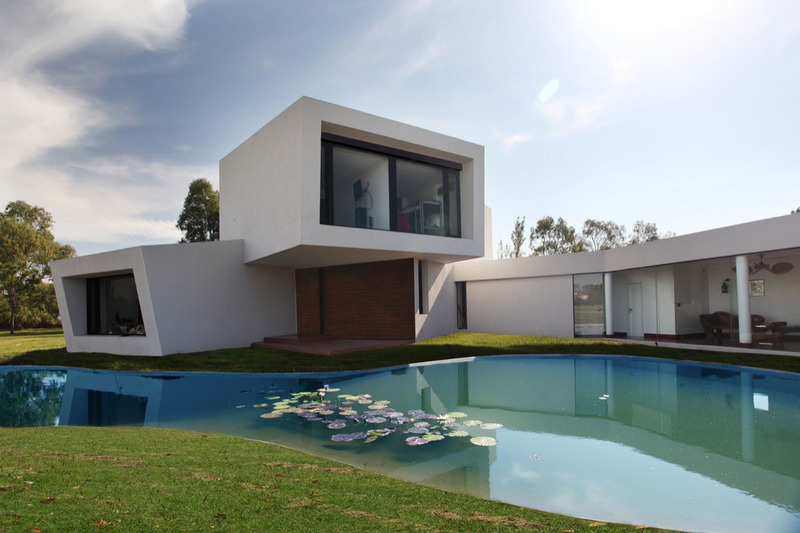 The challenge for architects Andres Remy Arquitectos was to create a private and peaceful home within the urban space. The glass swimming pool provides a fun experience for the family as well as natural outdoor views from the inside.